Property owners in the Town of Beaux Arts Village must also comply with King County, Washington State and Federal regulations that affect their proposed project and/or property, including but not limited to the following. SALES TAX REPORTING: The Town has its own Sales Tax number. A portion of the sales taxes collected and reported using this Sales Tax Number are returned to the Town and used for local projects: repairing streets, maintaining Town property, general administration, etc. Property owners and/or contractors are asked to report all sales-tax collections to the Washington State Department of Revenue using the Beaux Arts Sales Tax Number 1703. In addition, owners/contractors purchasing materials that are delivered to a Beaux Arts address should ask the merchant to report the sales-tax collections associated with the purchase to this Sales Tax Number. 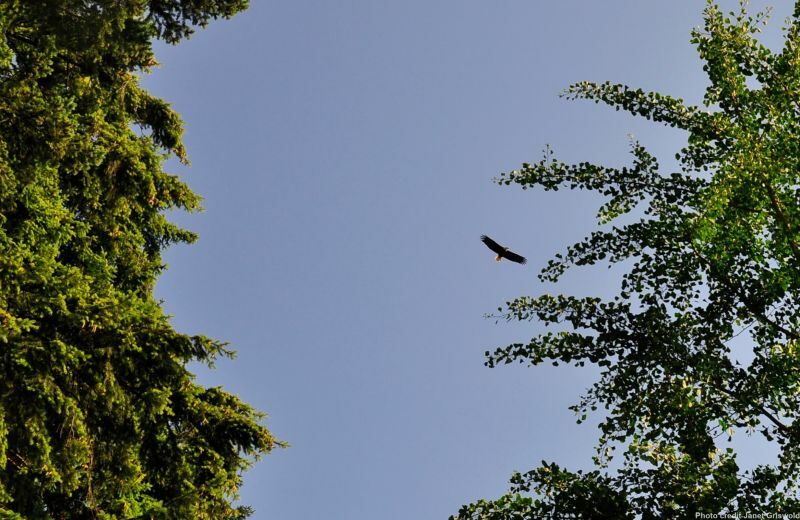 BALD EAGLE PROTECTION: Beaux Arts is home to at least one pair of nesting bald eagles; many construction projects will be subject to Federal and state rules that protect the eagles' habitat. Please visit http://wdfw.wa.gov/conservation/bald_eagle/ for current rules and regulations. For more information, please visit http://your.kingcounty.gov/solidwaste/greenbuilding/construction-demolition.asp. PLEASE NOTE: Compliance with these rules is enforced by the agency charged with said enforcement; however, if a property owner's project is cited for non-compliance by an outside agency, the Building Official has the option of imposing a Stop Work Order that will remain in effect until compliance is achieved and documented by the citing agency.